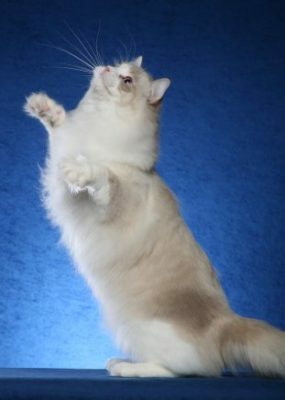 Dixie Willow began raising Ragdolls in 2000 in middle Tennessee. 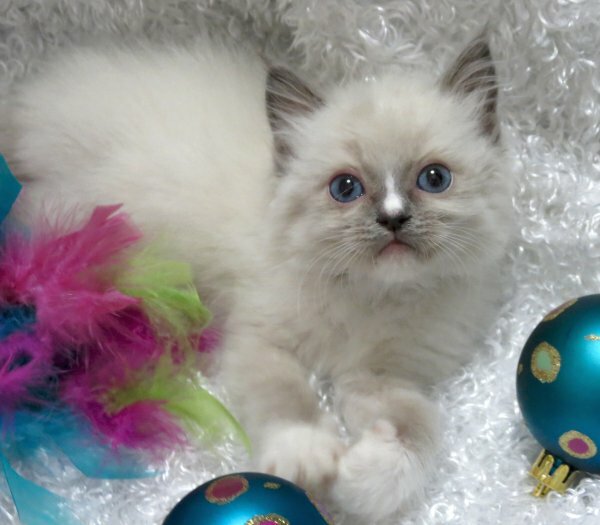 Nearly 20 years later, we’re still in love with our Ragdolls and now located in west Tennessee. 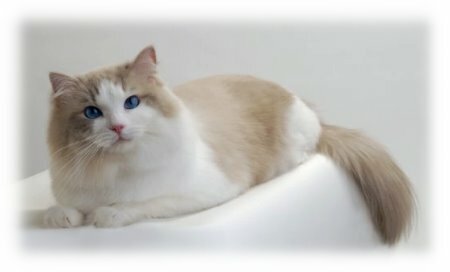 Our Ragdolls are an easy drive from Memphis and Nashville as well as much of Arkansas, Mississippi, Louisiana, Alabama, Georgia, Missouri and Kentucky. 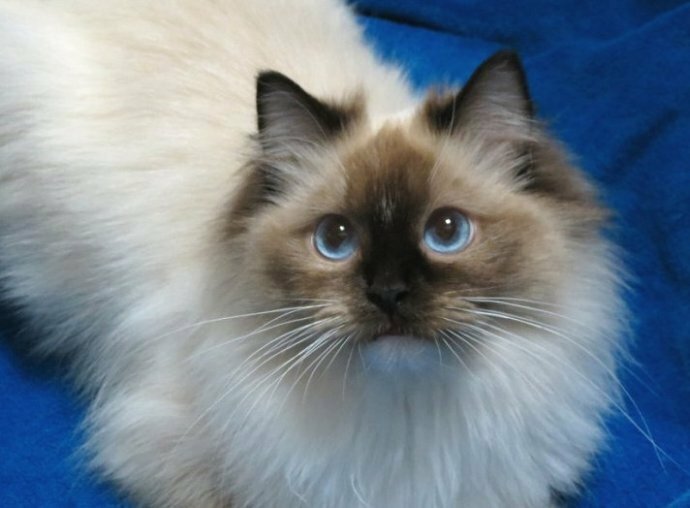 We sometimes have Ragdoll Kittens available and very occasionally may have young Ragdoll Adults available to the perfect home. 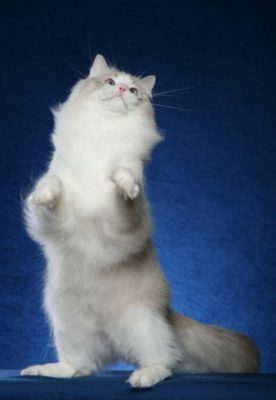 We also have available animal talent and specialize in cat actors. 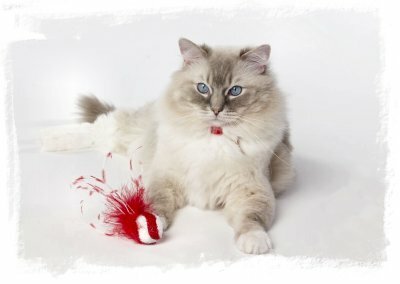 With 15+ years of experience providing animal talent for productions, our Ragdolls have done print ads, videos, television and feature films. 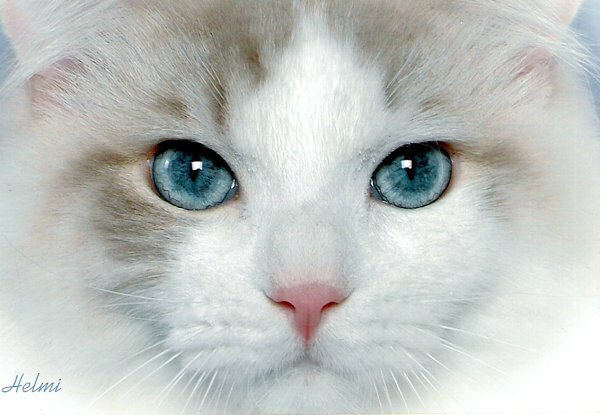 See the Cat Actors tab for our Credits, Portfolio Pics, Cats/Teams Available, and even a couple of young Dog Actors we’re training. 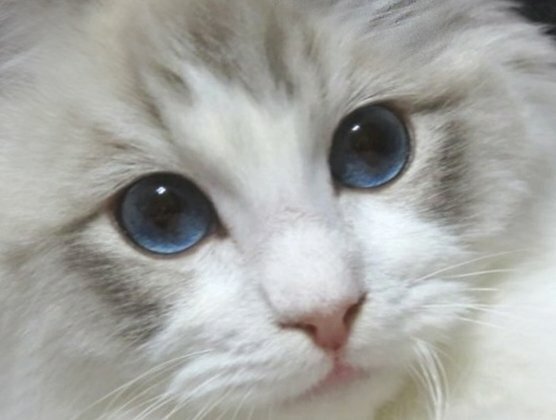 If you’re looking for a special Ragdoll kitten or cat to join your family or need a Ragdoll cat or kitten for an upcoming video or movie project, please contact us. 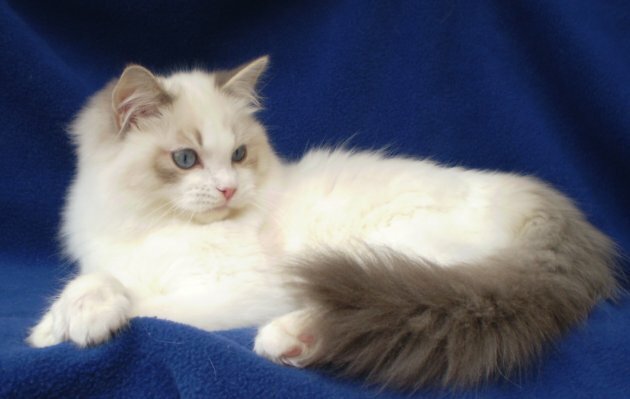 During the past 18 years, I’ve been heavily involved in the promotion and preservation of the Ragdoll breed. 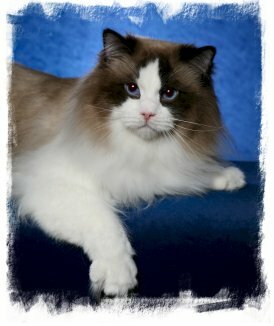 In addition to showing our Ragdolls to many titles, I’ve been a founding member and Officer of Ragdoll Breed Club as well as Ragdoll Fanciers Worldwide. 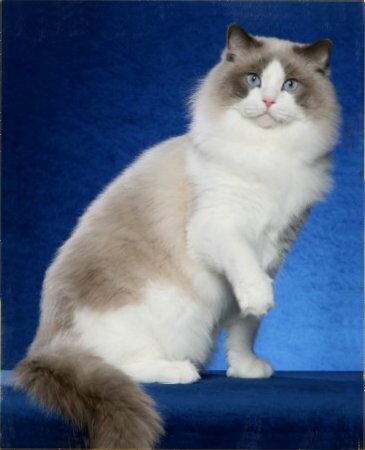 I am also a founding member and serve as Assistant Director for the Ragdoll Historical Society, a group dedicated to the collection and preservation of information about the history of this special breed. 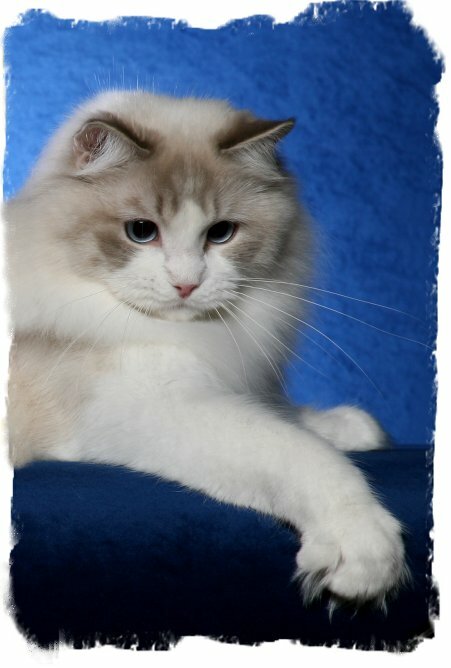 At various times, I have also been a member of RFCI, RI, TICA and the CFA Ragdoll Breed Council. 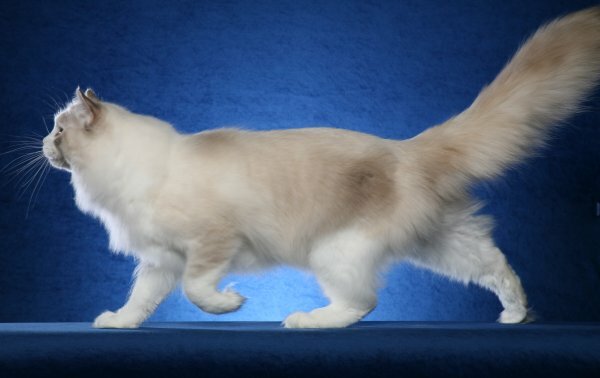 Proudly, Dixie Willow mitted and colorpoint Ragdolls were shown extensively in the effort to have all patterns recognized by CFA (which finally happened in 2008). 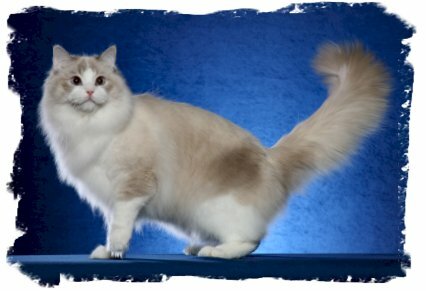 We were very involved in producing the First CFA Ragdoll Specialty Show which was held in 2005 as well as several International Ragdoll Congresses throughout the US. 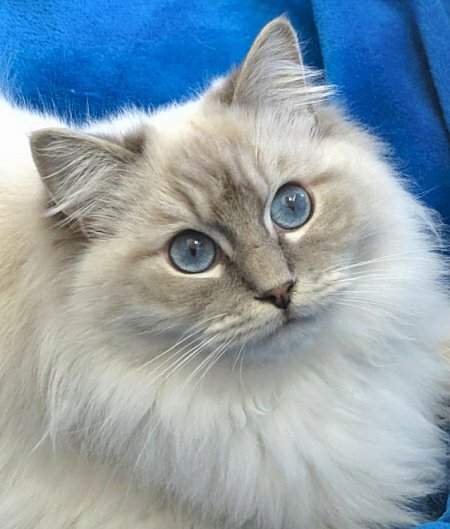 Please check back often as we add new Ragdoll pictures and information. A BIG thanks to the owners of these sweet babies for allowing us to include their photos here. Looks just like Dad, doesn’t he?? GC DixieWillow Deal Me In (aka, Gambler) at 2.5 yrs. CH DixieWillow’s Court Jester (aka, Jasper) at 6 yrs. GC DixieWillow Storm Chaser at 4 yrs. GC DixieWillow It’s a Wonderful Life at 3 yrs. 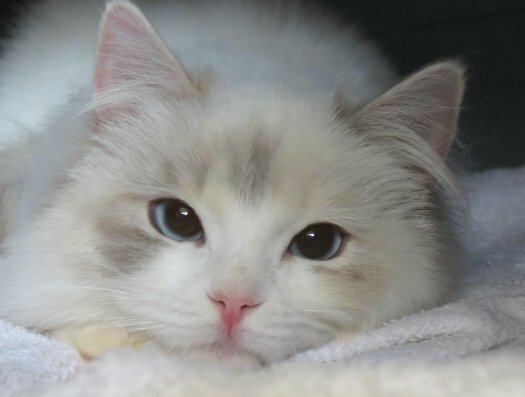 Our cats and kittens are a special part of our lives and get plenty of individual attention and love. 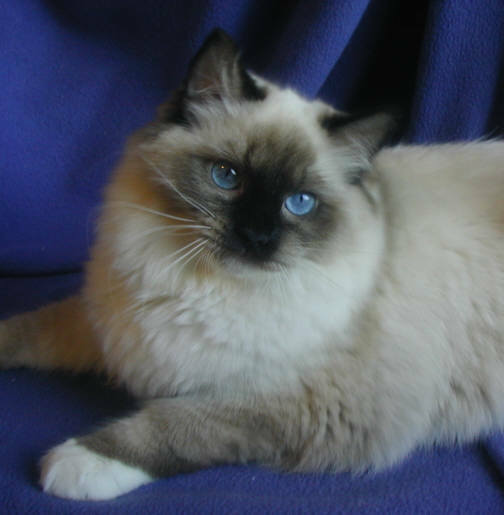 Dixie Willow Ragdolls can be registered and shown with CFA, TICA, and/or ACFA. 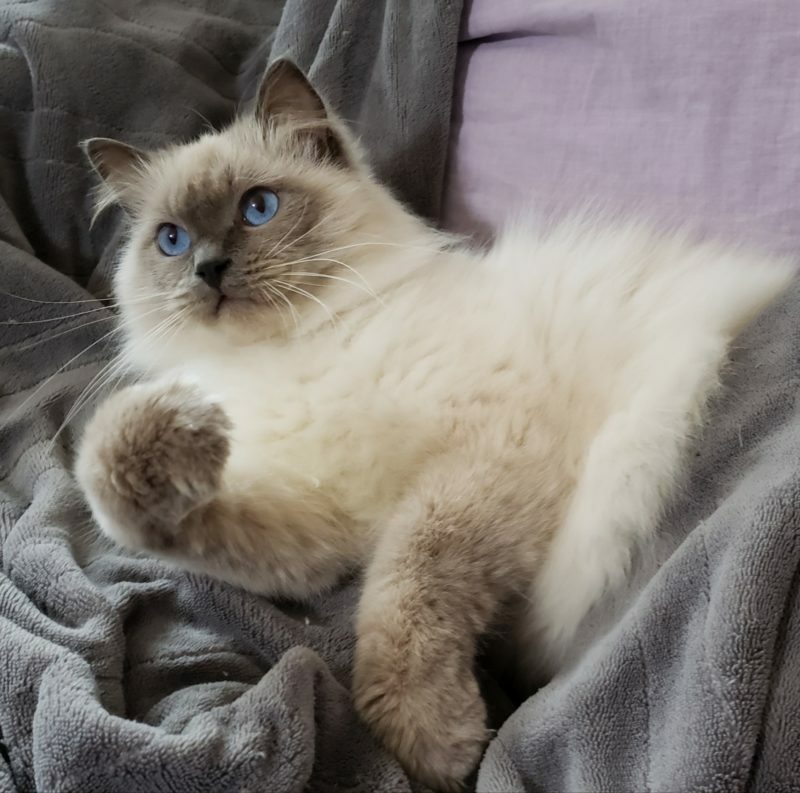 CH Dixie Willow Finders Keepers (aka Treasure) at 1 yr.
We became involved with Ragdolls because we absolutely love the breed and everything about it. 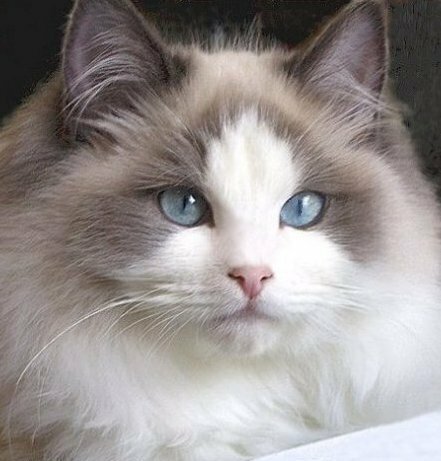 Although Ragdolls are longhaired, they are much easier to care for since their coats mat and shed less than other longhair breeds. 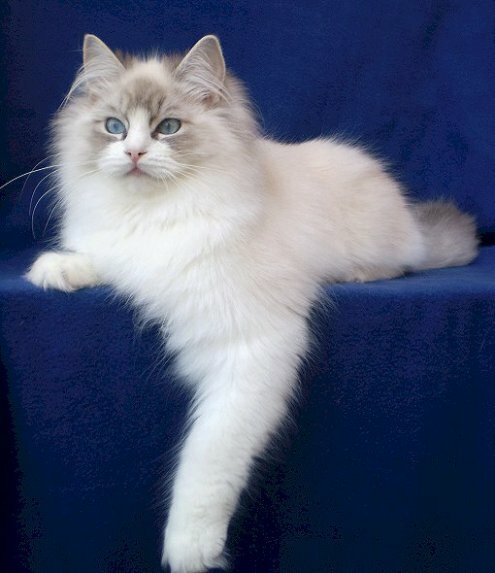 The laid-back, docile demeanor and social nature of the Ragdoll makes it a perfect pet for almost anyone. Enjoy our website and please contact us if you’d like to know more about our special cats. Website, all content, photos, Copyright © 2001-2019.